Grill (or bake) some chicken. It’s white. Plus you won’t have to deal with buns or condiments. Bonus if you slap some barbeque sauce on the chicken for an even more festive look! 10) Find Independence Day information online. If you don’t have any 4th of July books, don’t stress. There’s so much information online that you can just print out a fact sheet to read with your kids. Like this article for younger kids or this article for upper-elementary children. 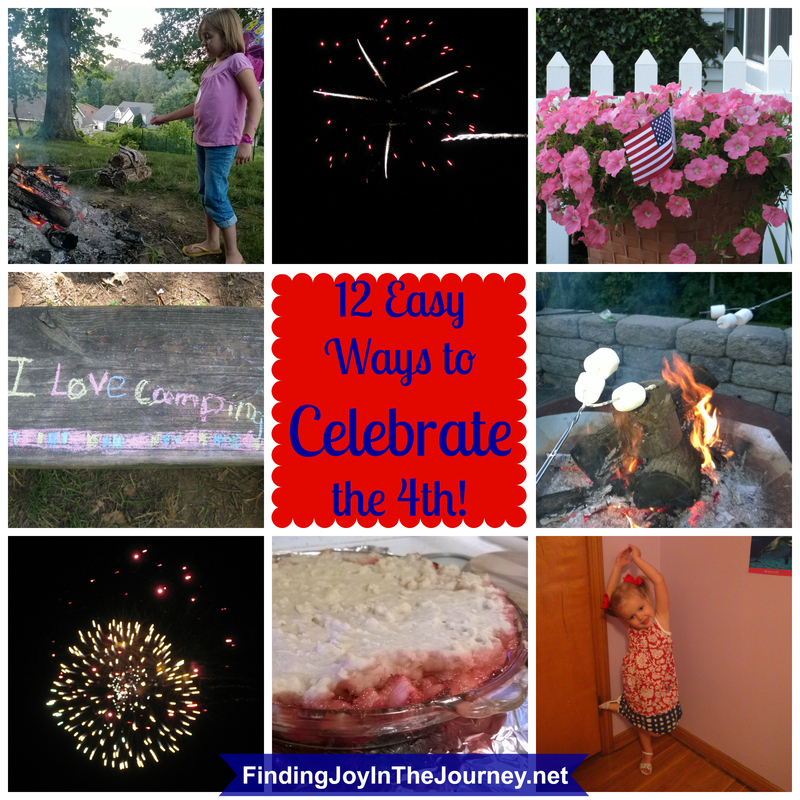 Go here to read my other 10 simple and frugal Independence Day ideas! A bonus idea is to listen to Patriotic music! Check out this free 4th of July Station on Pandora or this free Patriotic downloadable CD on Amazon. Several of your local radio stations will probably also play patriotic music on the 4th. I want to offer a special thank-you to our service men and women who sacrifice so we can maintain some freedoms.